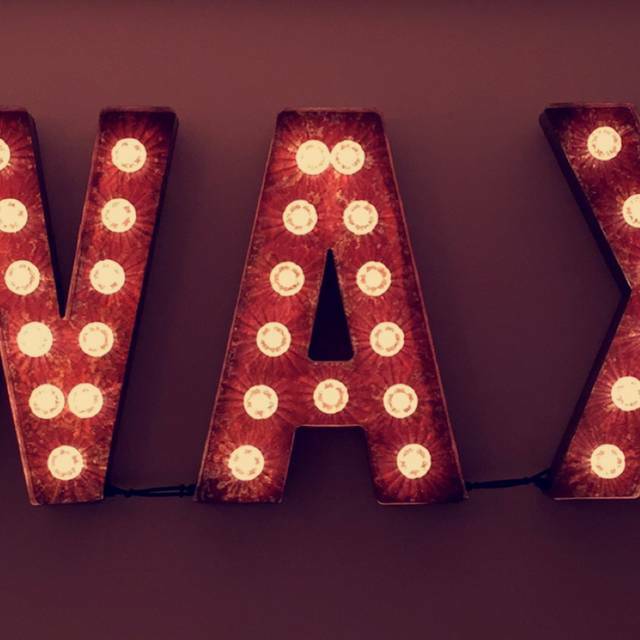 You must make bookings at least 5 minutes in advance of the time at WAX at Watergate Bay. WAX is Watergate bays newest venue. The Bar and Kitchen offers you a chance to experience amazing food and drink while overlooking the iconic bay. Had the best time and super friendly for our dog. 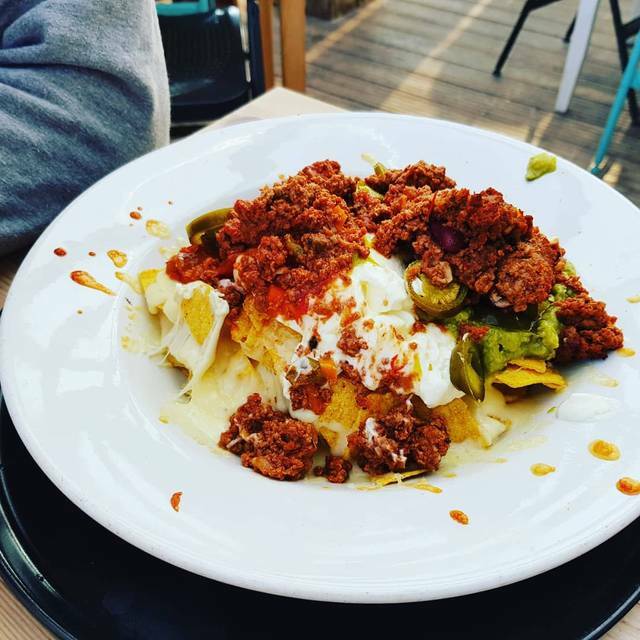 Love the food here and the nachos are amazing. Food was so good! Bit of a wait though, which wouldn't have mattered otherwise but we were there with a dog so were sitting outside and it was chilly! Service was fabulous, everyone was very lovely! great food as always and excellent service. Nice venue, not flash, great food. Great view good service. What a find! WAX really suits its surroundings, a lovely beach side restaurant/bar with amazing views of Watergate Bay. A nice balance of food available on the menu, simple but just what you would expect. We had the WAX burger and the chicken burger which were both outstanding and we both commented that they were the nicest burgers we’ve had. Staff were extremely friendly and warm. Prices very reasonable. Really would highly recommend this surf styled restaurant/bar. Really nice meal, huge portions!! Friendly staff, really nice place to eat. It's casual, you order at the bar and then just enjoy your food! Great for all ocassions food always fab and service too. Reliable dining experience, can't really rate the service as it's a case of order at the bar. Food is good, not much of a dining experience, more a case of a good eatery. Been coming to this place for a good few years now and it never disappoints. Casual dining, comfort food after a long day on the beach. Food was outstanding and the specials always offer a local fresh seafood. The pizzas are probably the best I have had, Italian thin crust and stone baked. Excellent. The bonus is you can take your dog with you and the friendly staff will bring you a bowl of water. We’re so glad we booked a table after coming for a play on the beach. Lovely little bar. Very busy. Nice food. We had adults and kids menus. 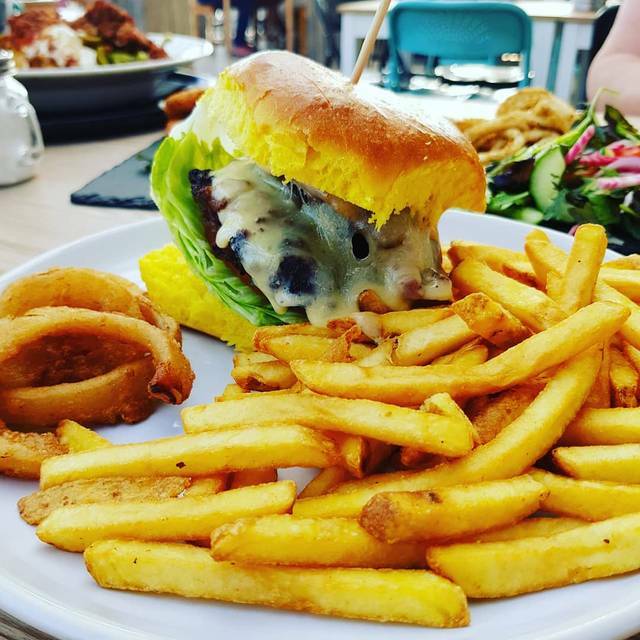 Tasty food, great service and the most relaxed atmosphere of the places to eat at Watergate Bay. We booked a table outside for my sons 18th Birthday Meal🎈🎈it was fab,the view, the meal & the staff we’re friendly ooh and the food was amazing 👌Thankyou Wax would definitely recommend anyone to visit you . Wonderful meal at Wax, Watergate Bay with a lovely view of the beach. Super child friendly place to eat, all the staff were great with our lively 2 year old. Booking process great via open table - really easy. Unfortunately a waste of time as the restaurant didn’t seem to manage the reservations. We arrived and the reserved table for two was ideal but another couple had sat there and wouldn’t move, the waitress was a bit stressed about it and in her embarrassment just dumped us on another table which we had to share with other people, without the scenic view right in the eye line of the smug couple who wouldn’t move! Not really her fault they wouldn’t move, although she didn't seem to push it but if the restaurant is going to offer reservations then they need to manage them. We were tired after travelling and knowing other nearby restaurants would be busy by this time we decide to grab a bite and go. It’s a laid back kind of place I get that and we were unlucky I guess and the couple concerned were ignorant (there was the a reserved sign on the table) but tainted the visit. Not great food choice for veggie/vegans either so all in all we’ll just say we won’t go back. But if you want for burger and beer type food in a good location and happy to take the seating available Wax would suit. We celebrated our sons birthday here, there were eight of us in total and the service, food and location were fantastic. Nothing was too much trouble for the excellent staff that work there at the bar and at our table. We love this place, the food is always beautifully prepared, tasty and exciting. We’ll be back. Took my parents out for dinner here as a thank you. We’ve been several times and absolutely love it. Food is fab and worth every penny. Big portions! The staff were very friendly and the service was good. The food is reasonable value. The portions are generous. 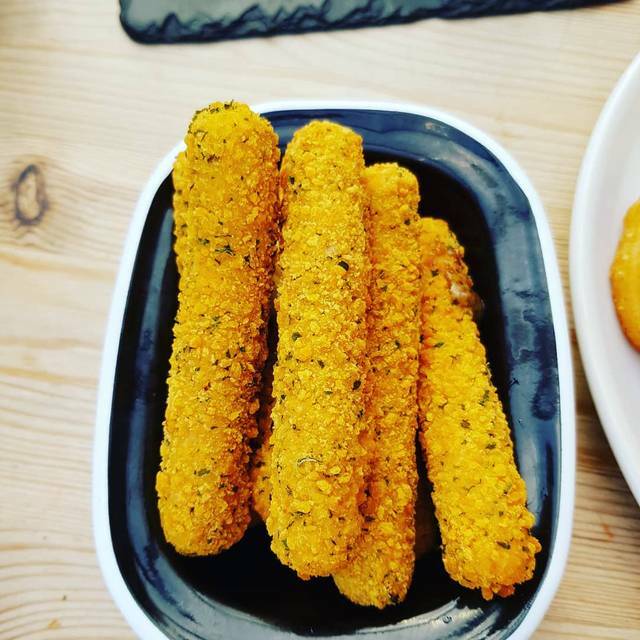 Sadly for my tastes to much of the food was deep fried and it wasn’t as tasty as I had hoped for. Wax is amazing! 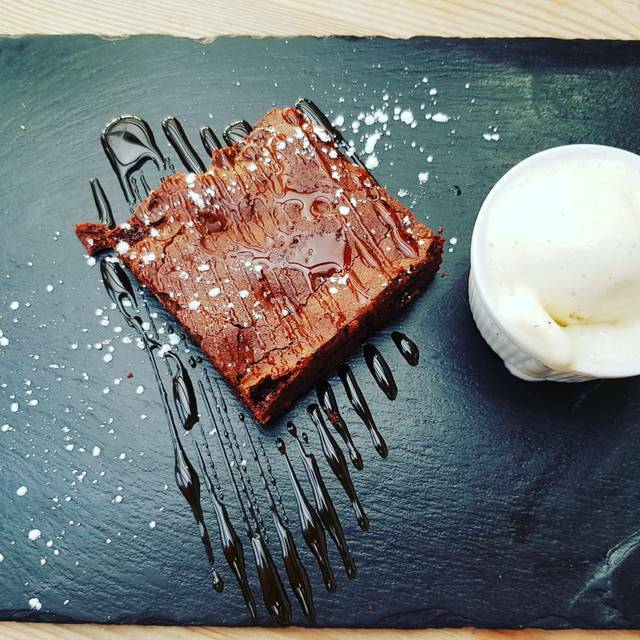 Great food, fantastic atmosphere and friendly staff. It is very clear that they are passionate about what they do and their customers. Every time we have been to Wax the food has been awesome and the staff are always happy to help and are very friendly. Our food did take a little while to arrive but we were told about this so absolutely no problem to us! We will be returning to Wax again and again and again. The food was very overpriced, I think £16.00 for a burger is a little bit extortionate! My friend ordered a meal which was advertised as ‘gluten free’ but nowhere did it say / did the staff say that the sausage and mash would be served without the gravy as this was not gluten free. Dry! 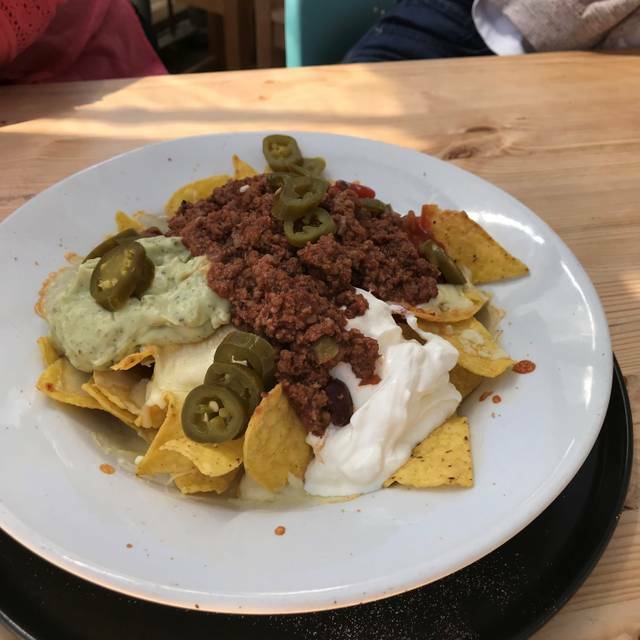 Overall, very little ambience, staff quite uninterested and chatting amongst themselves at the bar and overpriced food with little taste (I had nachos.. not sure if the green stuff was actually guacamole but it didn’t taste of anything much. 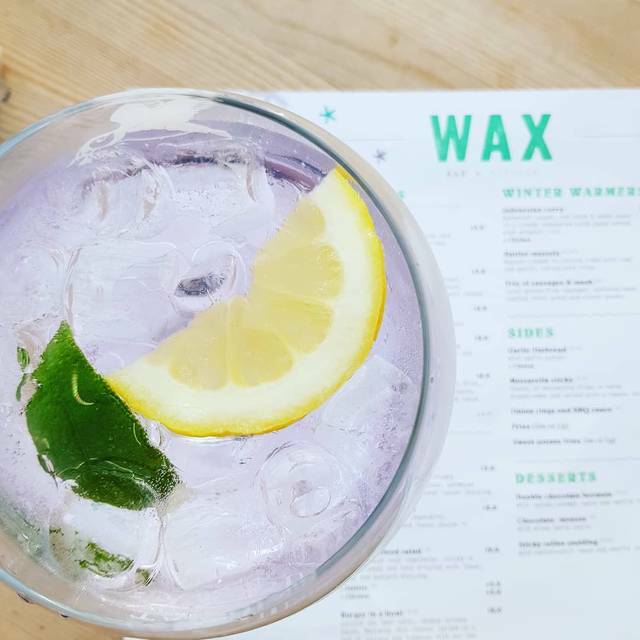 We had a lovely evening at Wax Watergate. Great food. Friendly staff. Great beer and wine choice too. Thank you. Definitely be back soon. Easy booking experience, friendly staff, prompt service, great food and portion size. Good value for money. Great staff attention and superb food . Nothing was too much trouble, they had already cleaned the coffee machine ( we notified after we had ordered) and we asked for more , nothing was said and they just served up ! I'm not a fan of self ordering, having to memorise everyone's orders and then go to the bar to place them. Given the prices charged there could, at least, be waiting staff. 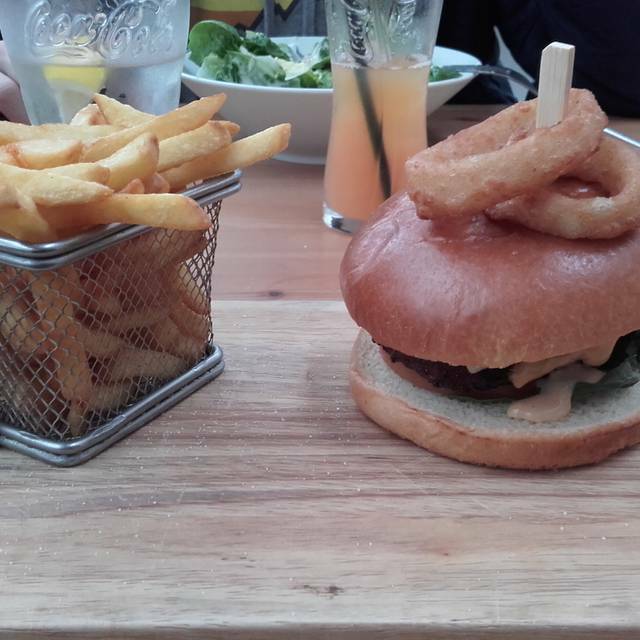 Food is over priced, £16 for a burger and chips (pictured) and £2 for 500ml of water. I put a brave face on it as it was my son's birthday, but we won't be going there again. Turned up on Christmas Eve and had a lovely meal, burgers, pizza and onion rings! Very friendly staff and genuinely loved dogs, nice relaxed atmosphere which set us up for Christmas beautifully. Will definitely come back in the summer. Booked for dinner, really bad service by staff who went particularly bothered. Food was average and overpriced the food presented had no resemblance to the pictures featured on Wax's website. Read reviews on trio advisor after our meal and noticed that the management only replied to positive comments and completely ignored any negative ones!!!! Surly addressing highlighted problems and concerns raised by diner's is the only way to improve your business. Obviously not in this case. One to be avoided in Watergate Bay!! I was at Newquay for other reasons and saw the beach so decided to stop over and eat. I found this place and decided to drive to it. I ordered a currie and found somebody’s hair in it! So could not finish the food and returned it complaining about this. They apologised but did not offer to refund the cost of the currie but instead gave the desert for free. The desert is less expensive. I just don’t think it was a positive experience at all. I mean ignoring the hair, the food was not worth the price.